Made fresh with organic fresh-pressed ginger and a blend of full-flavored herbs and spices, Bhakti Chai Tea Concentrate is a delicious beverage mix that’s the perfect blend of sweet and spicy. And it isn’t just for tea lovers; use it as an added ingredient to make rich desserts and savory meals. 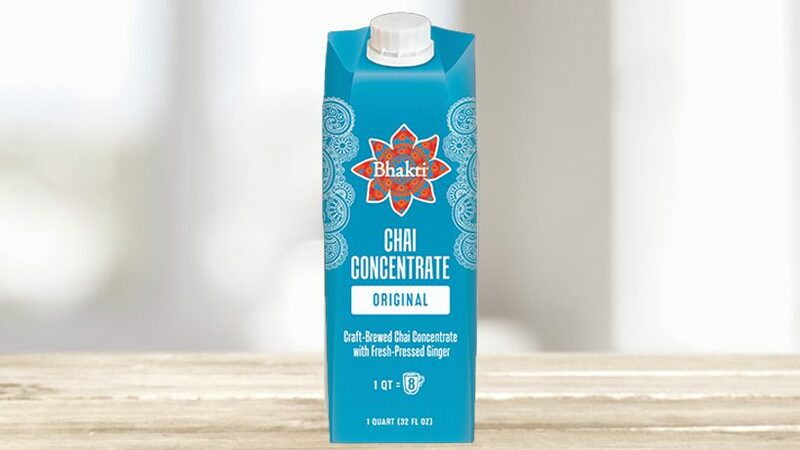 Bhakti Chai Concentrate is made with all natural, low fat, certified organic, non-GMO ingredients that are free of preservatives and gluten, so it’s good it’s for you, too!